The blue diamonds twinkle like the sharpest stars among the frosty winter sky. 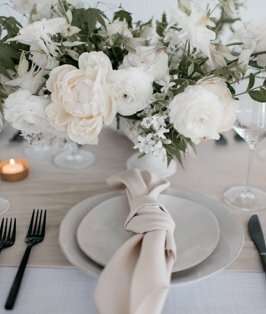 Our Sea Adorn linen folds and moves with grace, creating the perfect foundation for any tablescape. Bring the colors of the deep blue ocean mixed with metallic gold to your event.